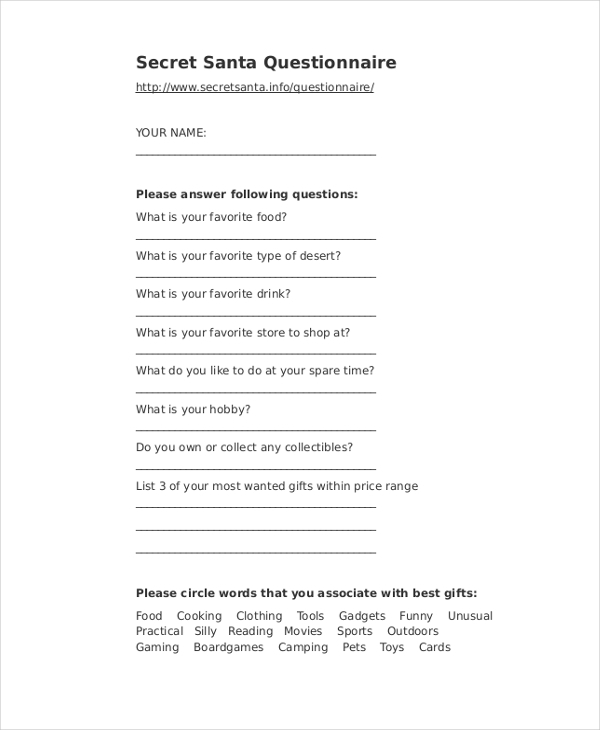 This is a simple and very straightforward Secret Santa questionnaire wherein the respondent needs to fill out their name followed by giving answers to some very basic questions pertaining to their likes with regards to favorite food, hobbies, desserts, shopping etc. 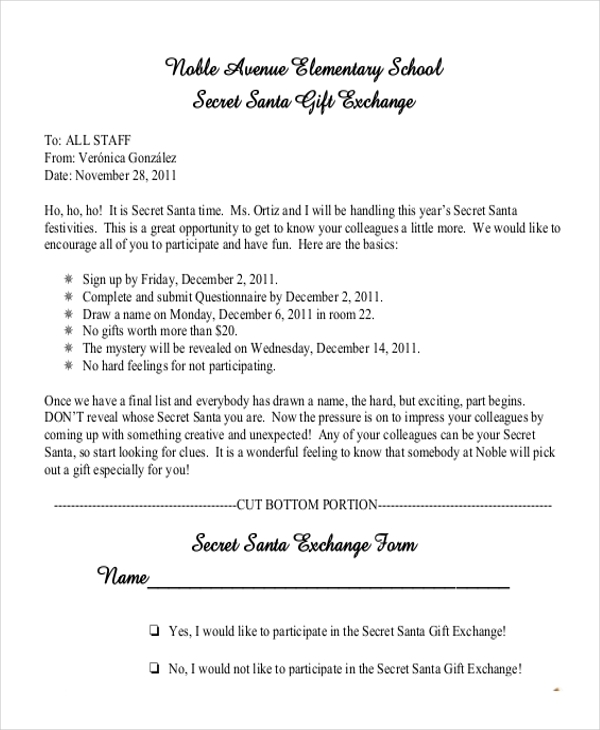 In schools, students are handed out a Secret Santa exchange questionnaire form wherein the terms and guidelines of the exercise are spelt out, and two options are listed – whether a student would or would not like to participate in the Secret Santa Gift Exchange. 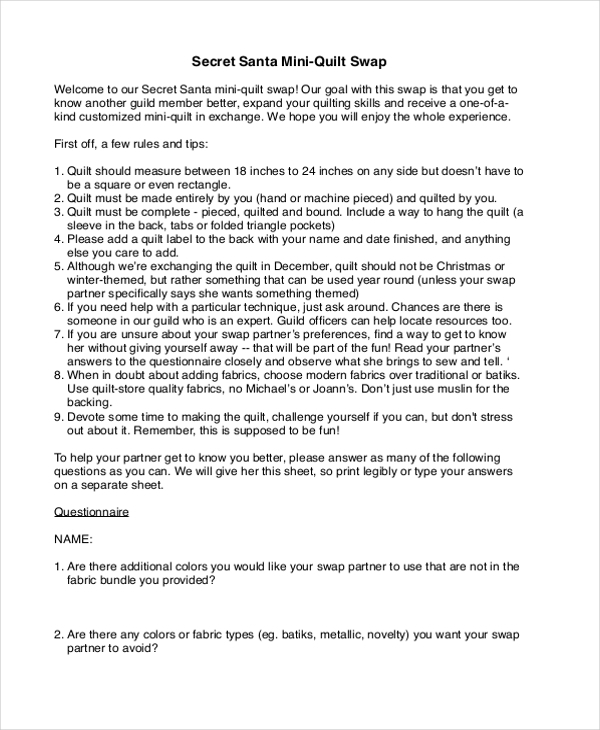 If you’re a part of a vocation group or camp and wish to organize a mini-quilt swap amongst the members, you need to design a questionnaire such as the one shown here. It has the rules and regulations of the task, followed by a list of questions. 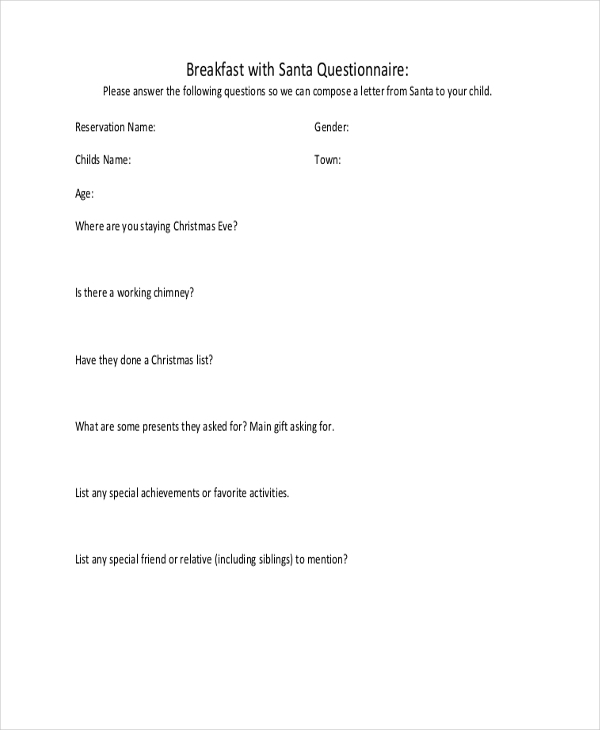 A very basic and concise Secret Santa questionnaire is easily available and downloadable in MS Word format. The respondent is required to fill in their details and also give answers to some basic interest-oriented questions. Surprise your children by a gifting them with a letter from Santa! Yes, there are groups specialized to do that. 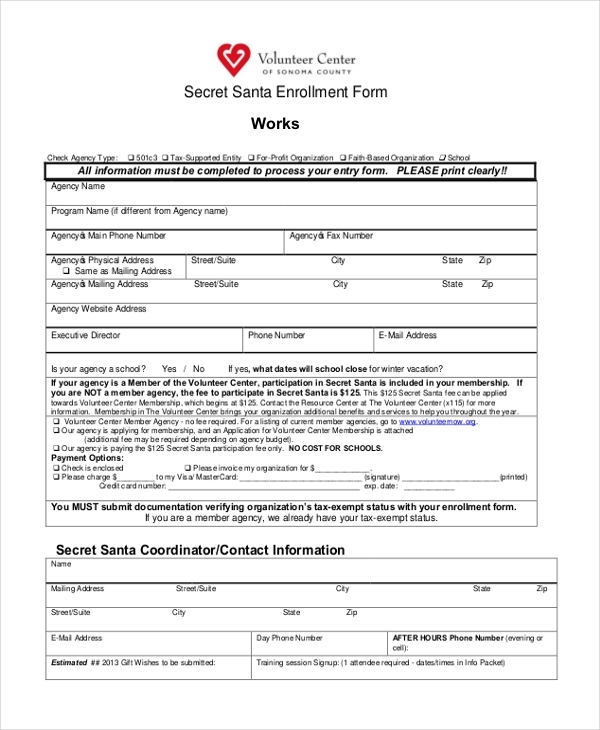 For the purpose, parents are required to fill in information regarding your child and provide details about what their child would like to receive for Christmas! 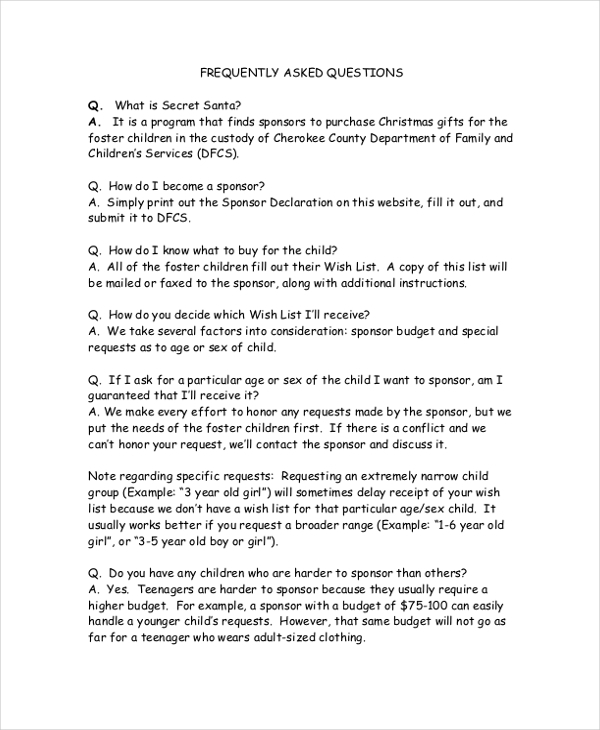 Many outlets and organizations that host Secret Santa programs annually release a handout wherein all the Frequently Asked Questions (FAQ) are addressed for the audiences – especially the kids. All the rules and regulations are also specified. There is no particular or fixed target group of a Secret Santa questionnaire. This aspect keeps changing and is variable. 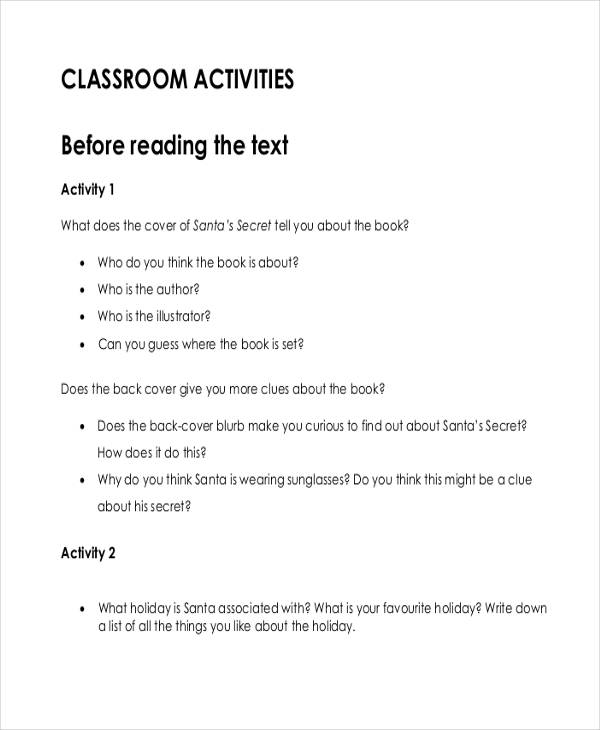 Some Secret Santa questionnaires are generic, people of all ages can answer, whereas most questionnaires of some kind have a fixed target-group – students, teachers, parents, employees etc. Depending on the environment where the endeavor is being organized and for whom, that becomes the target group. 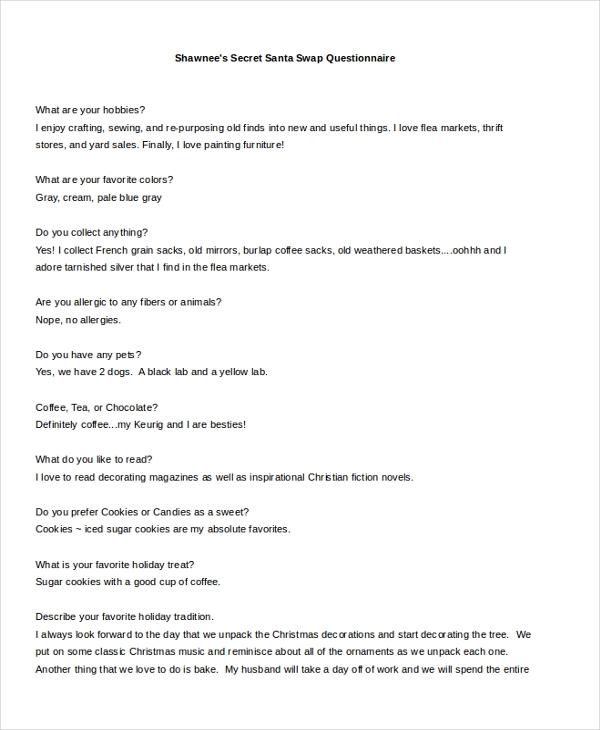 The good part obviously is that secret Santa questionnaires are most endearing and fun-based, so there are no hard-and- fast rules to be followed as far as target-group is concerned. 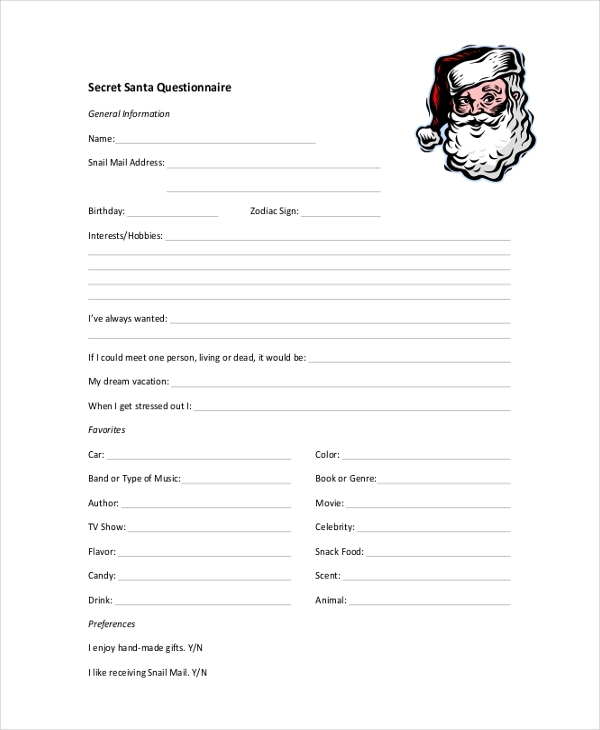 As long as Secret Santa is going to continue to be part of Christmas season, you be rest assured that Secret Santa questionnaires are going to be in vogue too. 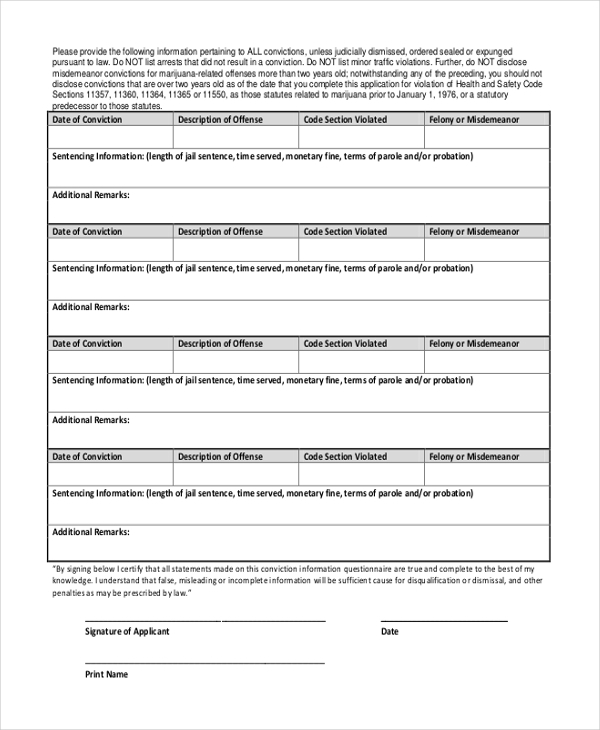 The best aspect of these questionnaires is that there is no standard format attached, you can build and make them as you wish to.